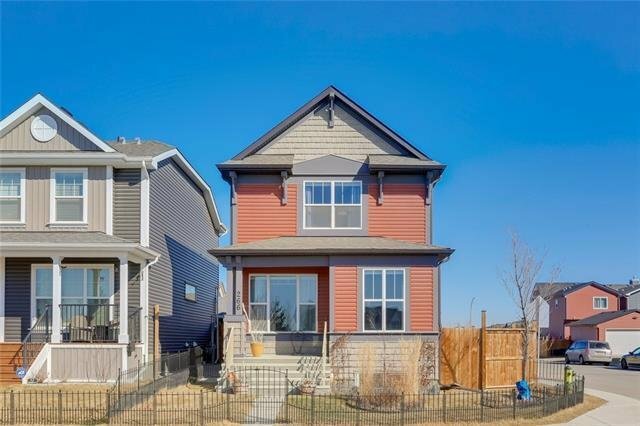 Belvedere on the Park. 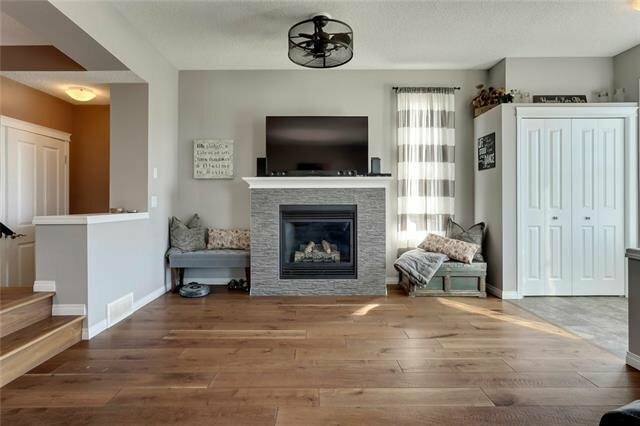 Loaded with upgrades and ready for your family. 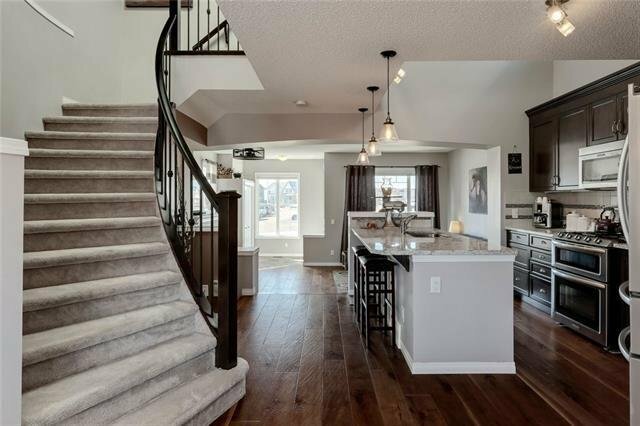 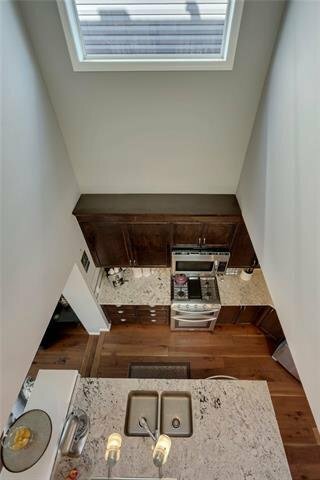 The main living areas are very bright & open with 9' ceilings, curved staircase, large windows, 3/4" hand-scraped hickory hardwood throughout. 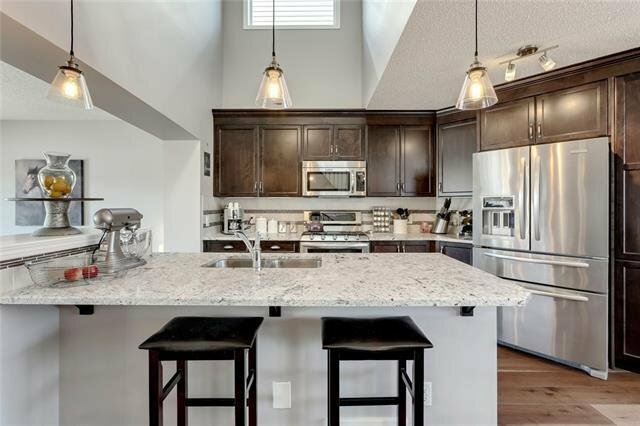 Kitchen ft large central island/eating bar with granite countertops, vaulted ceiling with great natural light, wall pantry, KitchenAid SS appliances (incl gas range with dual oven), upgraded cabinets, large dining room to seat up to 10 people & all overlooks the relaxing back deck and fully landscaped yard. 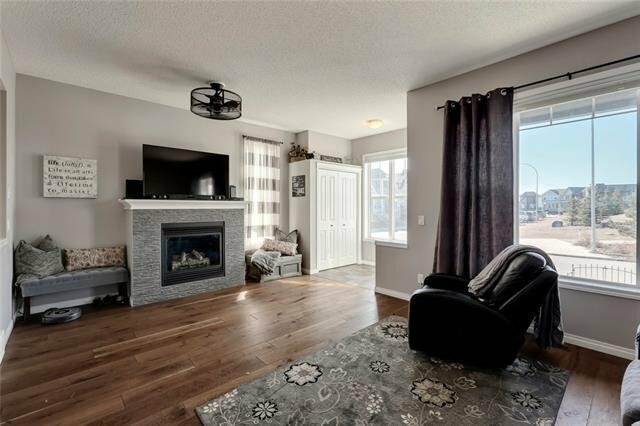 The family rm includes stone surround gas fireplace & TV wall. 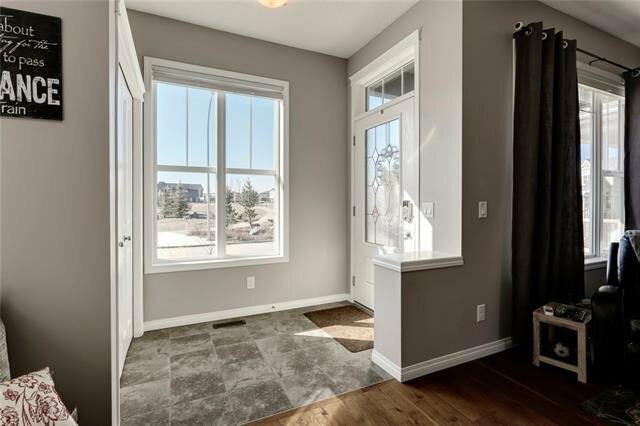 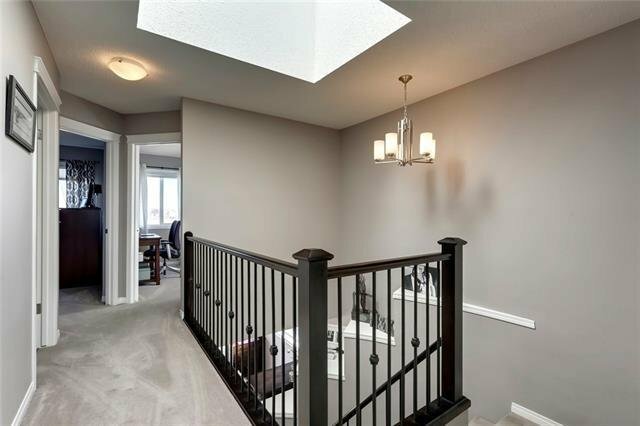 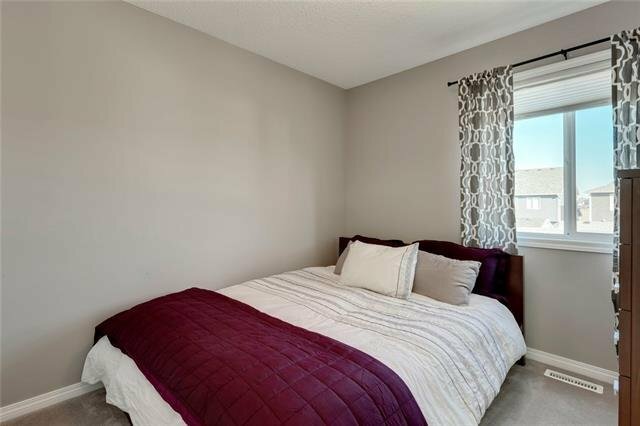 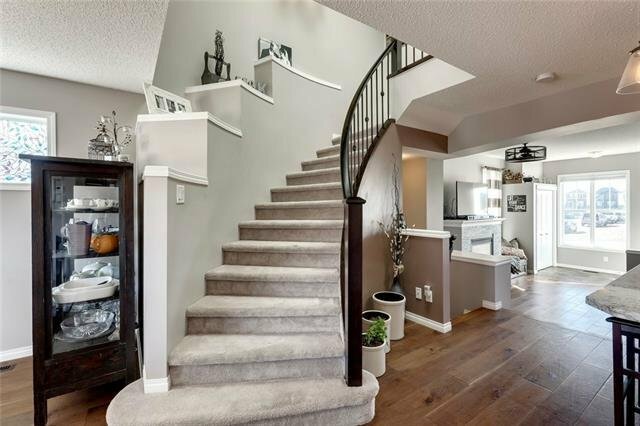 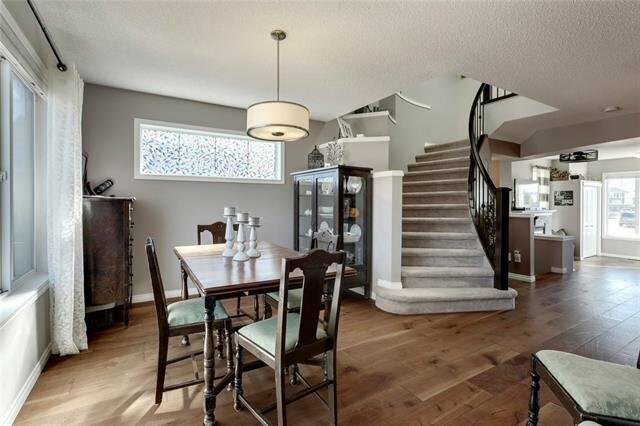 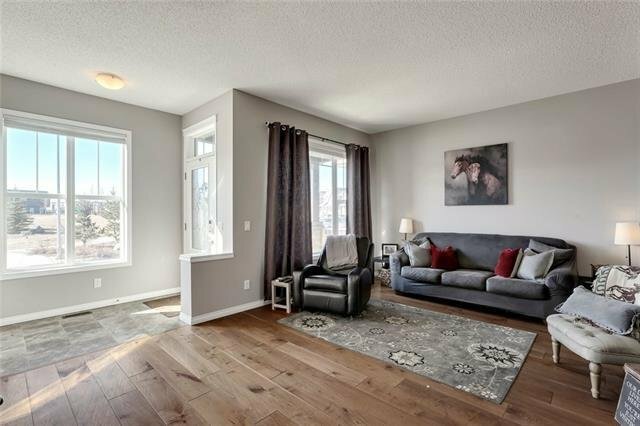 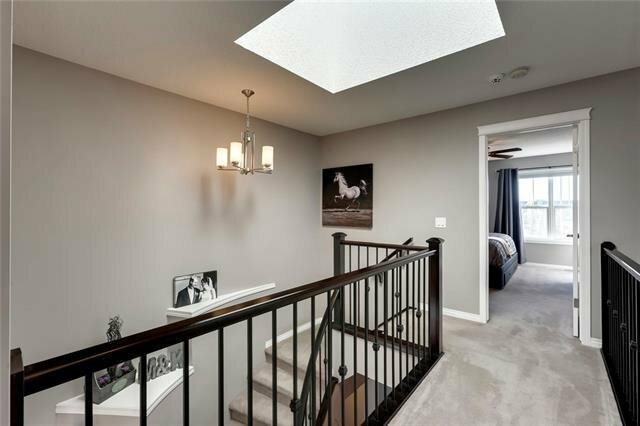 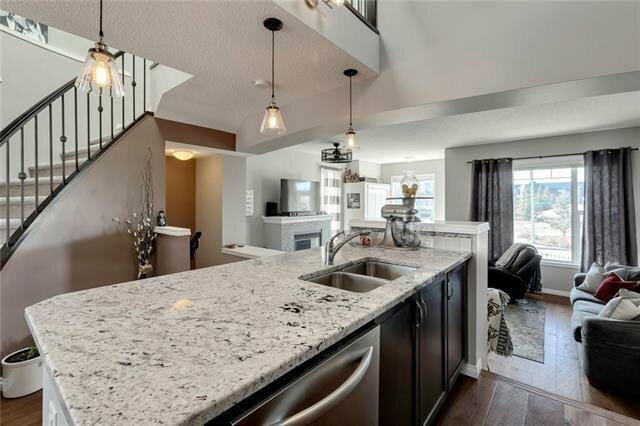 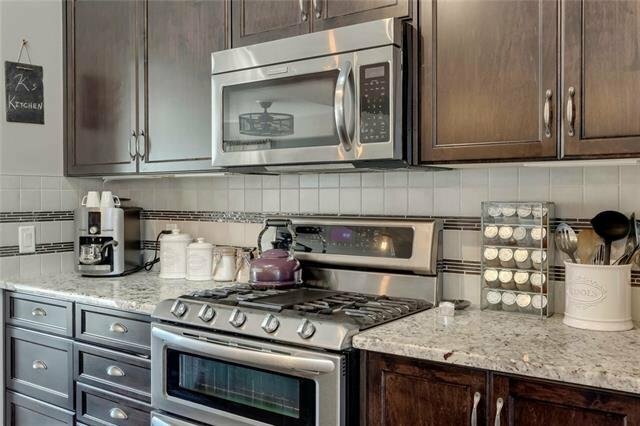 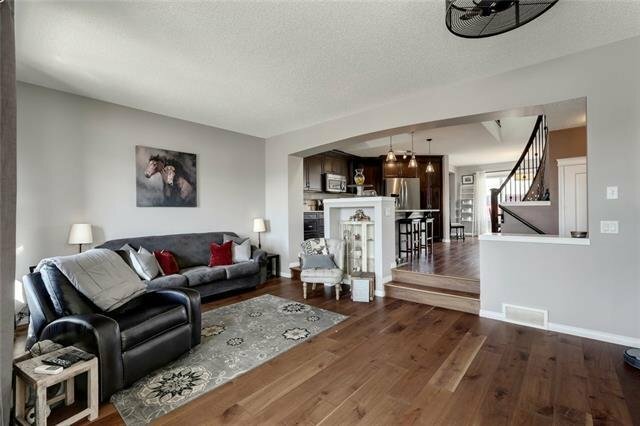 Upstairs features 3 bedrms, 2 full baths, upgraded stain-resistant carpets. 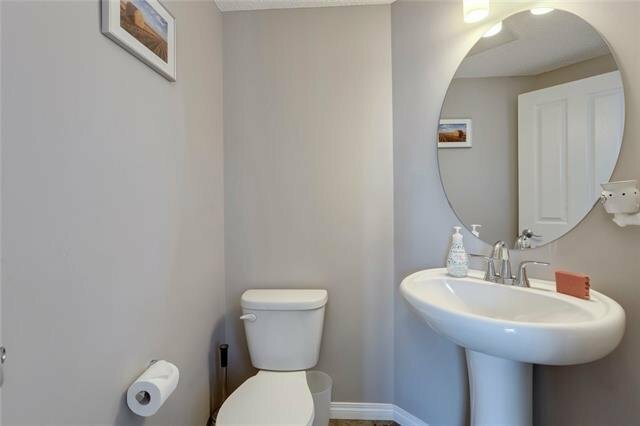 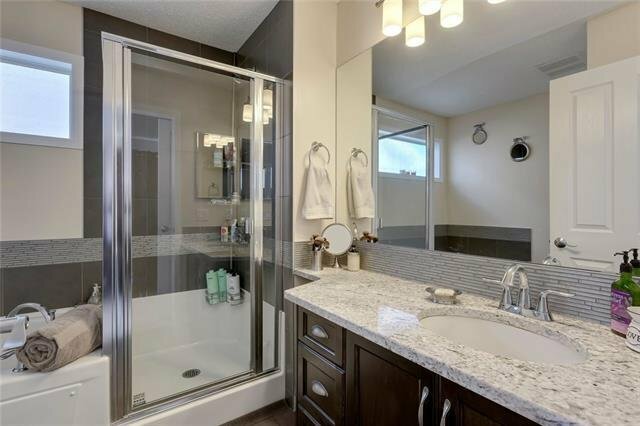 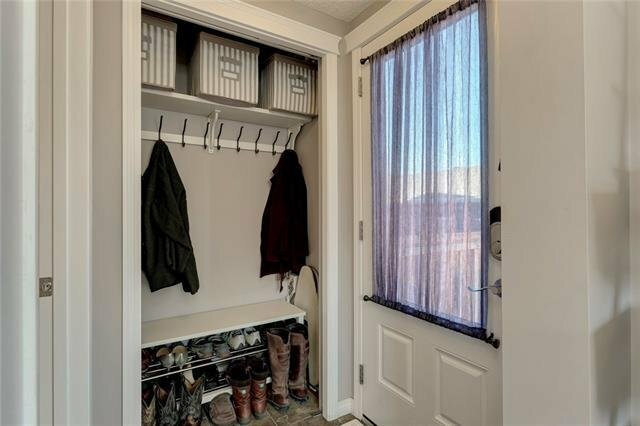 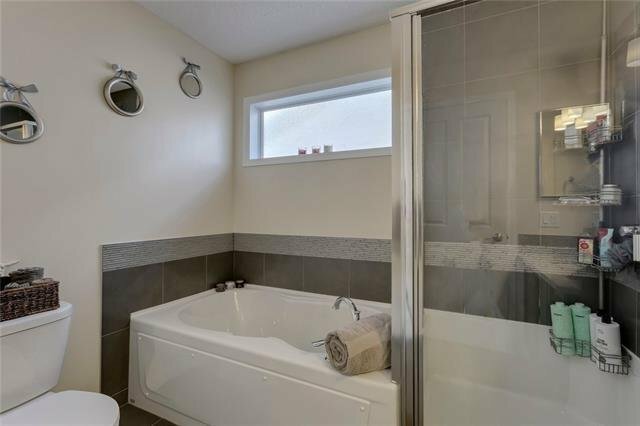 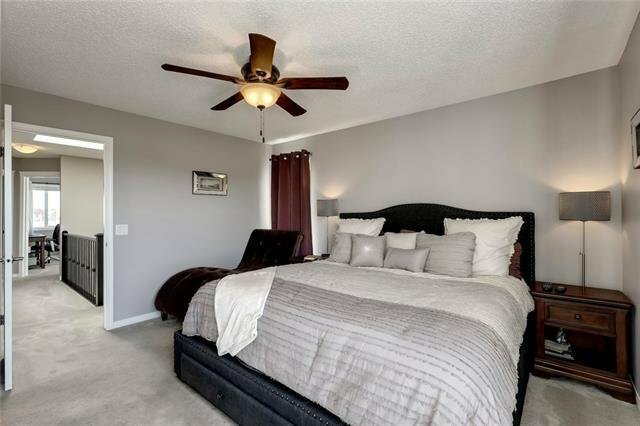 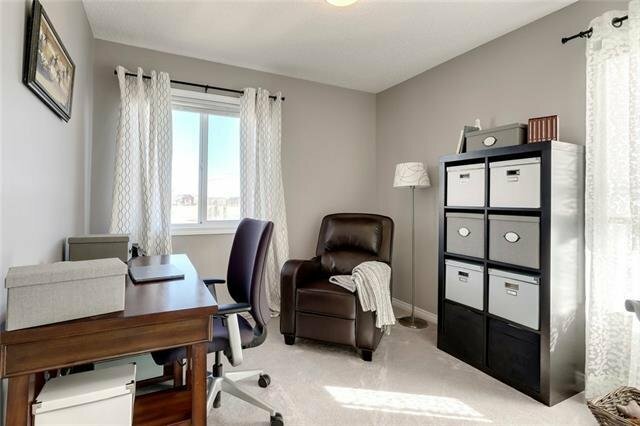 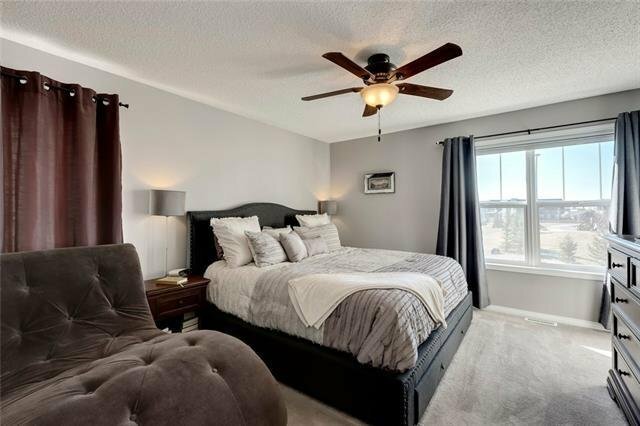 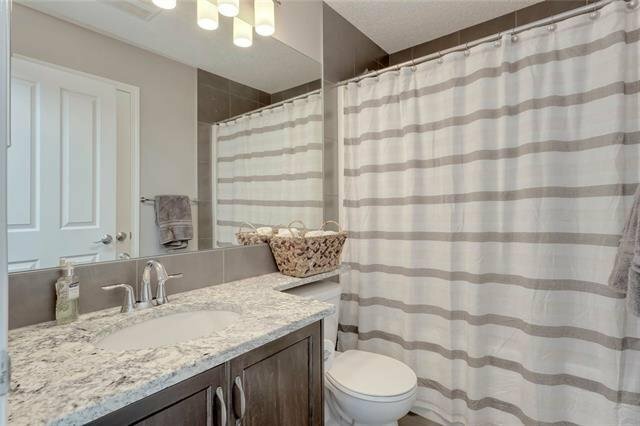 Master ft large w/i closet, an ensuite with a large soaker tub/shower. 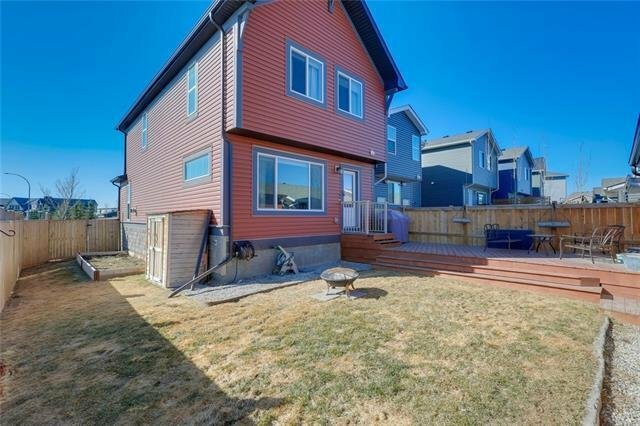 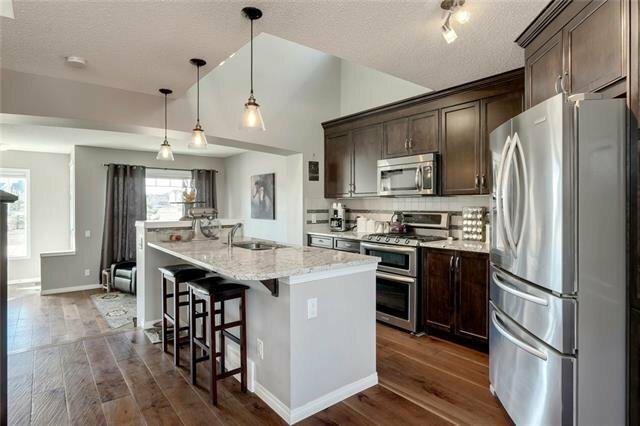 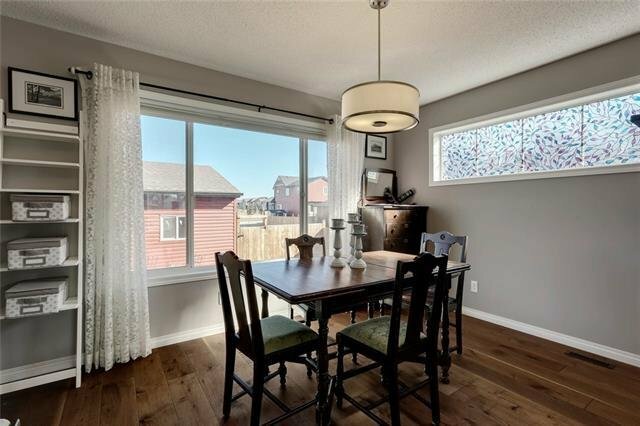 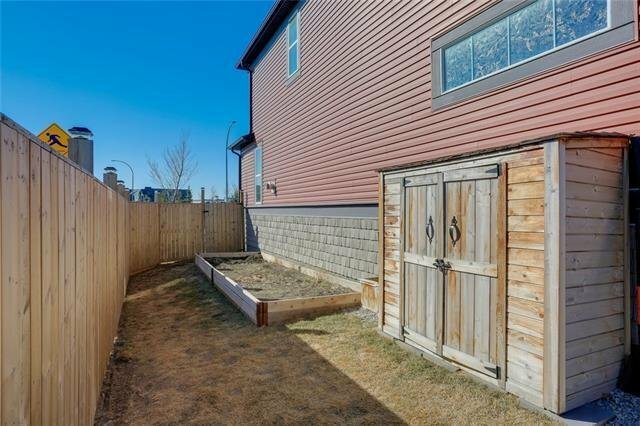 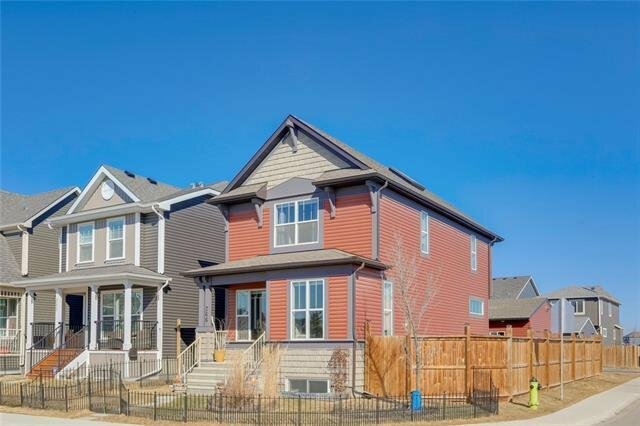 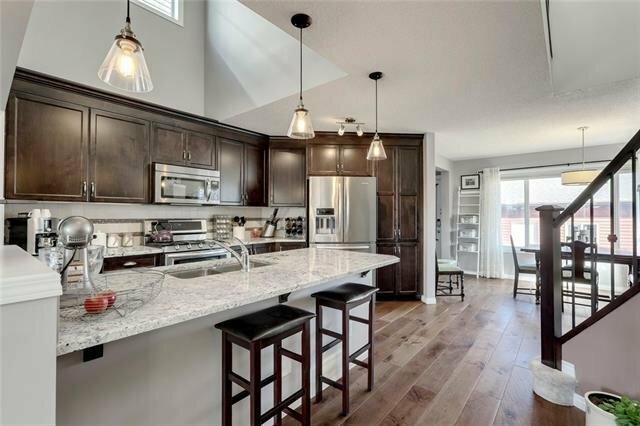 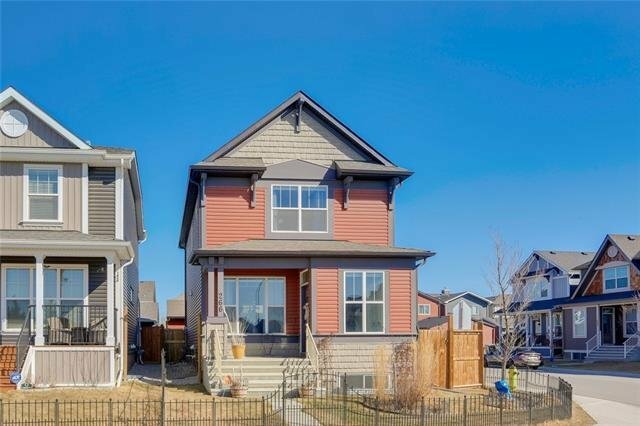 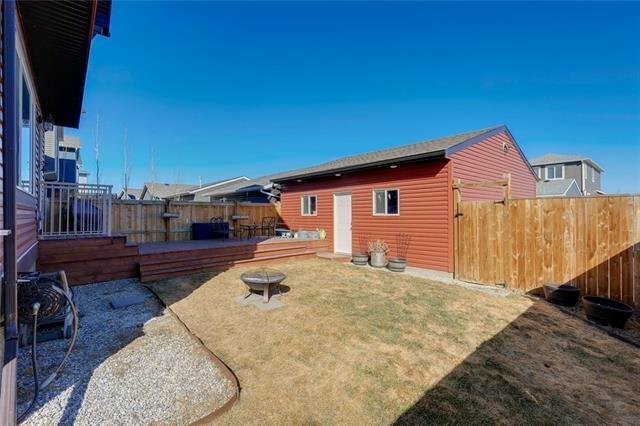 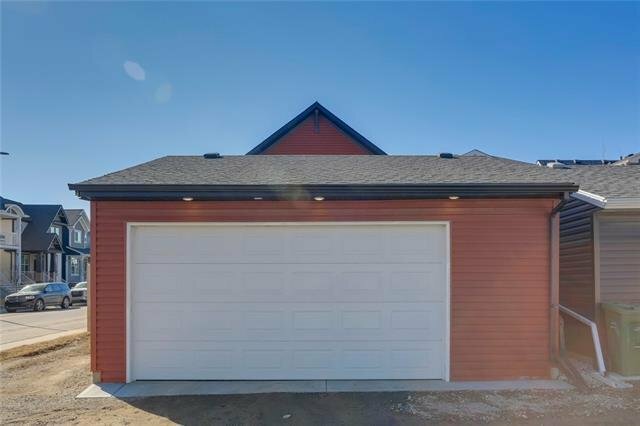 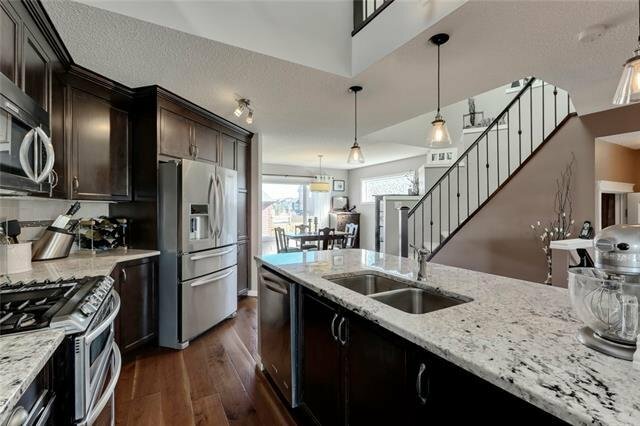 Quiet street, great curb appeal, fully fenced (front & back), oversized/insulated double garage. 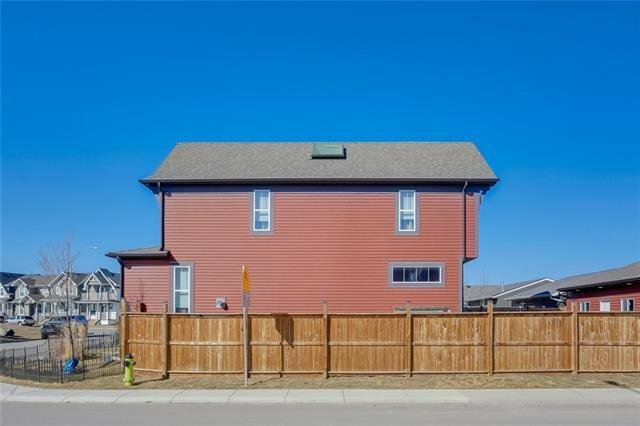 Rare 8' lot line corner lot. 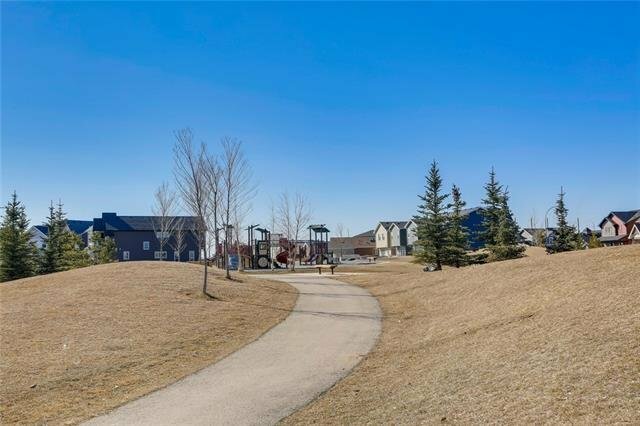 Short walk to Elementary School. 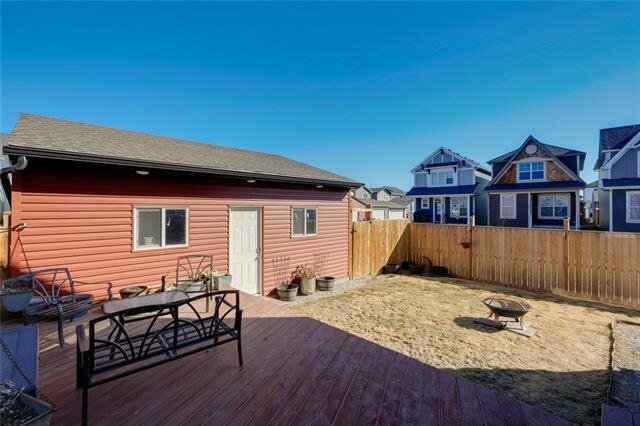 Walking distance to lake/beach, new YMCA (now open! 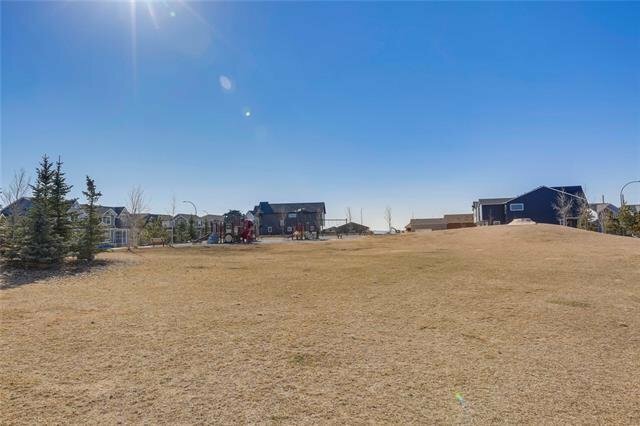 ), Seton shopping, dining & new Cineplex, and the South Health Campus.